Let’s talk taxes. Be wary of Progressives in finance article clothing. The illustrative article/video, “Income taxes are lower than you think” posted on the Yahoo! Finance webpage uses the good finance cop/bad finance cop ploy to get the reader to come around to their terms. This type of social manipulation could be one reason why America’s Judas MIT con artist Jon Gruber spoke of voters as “stupid”-suckers for any ivory tower talking talking-heads in a suit bloviating about the glories of redistributive economics. Whoa! I am not wrong! No matter how much they spin this clay argument will my taxes ever appear small and sought-after. Caveat emptor mi amigos! And don’t forget, taxes are the coercive means (ala “Go to jail. Go directly to jail. Do not pass Go. 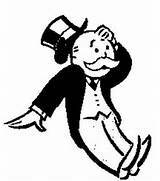 Do not collect $200.00”) used by government to fund more out-of-control deficit spending. Let’s see. There is the personal income tax, the payroll tax, FICA, MICA, property taxes, sales taxes, Obamacare mandate and “Cadillac” taxes (thanks for memories Justice Roberts), the differential tax of government wage and price controls and stagnant wages. Wage controls include the minimum wage tax placed on employers. I now buy a more expensive to sell hamburger as does the teenager earning minimum wage. Nothing happens in isolation. And, of course, there is the let’s pummel evil business CORPORATE TAX which depresses all forms of economic growth. The direct and indirect taxes are too numerous to mention. I am not cheap or stupid. I am tired of being taxed to the bone. Forty percent of the nation pays taxes for the remaining recipient sixty percent. Twenty percent of the forty percent pays most of the tax burden. Progressive tax rates, among other redistributive programs, are making the U.S. into a socialist European bankrupt-susceptible entity where the individual is no longer important. The individual is just another “stupid” number on Jon Gruber’s chalkboard. The video screen reinforces the manipulation of the Progressive dialogue: “Your taxes aren’t as high as you think.” I think both speakers are high on government fumes. First, while federal tax rates have fallen over time, incomes have stagnated. For middle-class earners, real income, adjusted for inflation, has risen just 16% since 1979, and it has actually fallen by a few percentage points since peaking in 2007. That means the typical middle-class family has experienced declining living standards during the last 7 years—which makes the sting of taxes much sharper. Next up, they pivot to take a pot shot at the 1%: “The only exception to this pernicious trend of flatlining incomes is among the top 1% of earners, whose incomes — nobody will be surprised to hear — have risen 174% since 1979. Tax increases that went into effect in 2013 actually impacted the wealthy more than everybody else, which is why even the 1% earn less than they did several years ago. But nobody needs to worry about America’s millionaires.” How nice of them to again tell us what to think! Well, I care about the 1%. The 1%’s money creates industry, jobs, wealth, stockholder dividends, overall economic growth and lo, and behold, personal dignity from an individual’s labor. Besides philanthropy the 1% investments help feed 401K, IRA and pension retirement accounts. The 1% and I pay for the other 50% of the country that doesn’t pay any tax. It is very short sighted to demonize the 1%. In fact, to do so is a form of social manipulation meant for already in place redistributive ends. Progressivism’s Politburo ‘think tank’ of course does not want you to know this, again in Jon Gruber-like fashion. The talking heads left out the nonpartisan national debt. Each us, (our children and grandchildren will not be debt free when we die) now owes ten of thousands of dollars. Our lemon government has paid Jon Gruber $5.9 million for various analyses including The Sting operation known as Obamacare and Amnesty. Gruber is listed on the WH visitor list multiple times. He was paid $400,000 to bury the financial truth about Obamacare and to abuse the trust of the American people. Now you want more tax money from me to pay for more abuse? These two hand puppets are implying that I should gladly bend over for more of the same. No, I do not desire to pay more for more bureaucracy! I want a miniscule government and more of my own wages- my personal property-to keep and to give charitably as I see fit. Along with higher aspirations I also seek to be the 1%, at least in the coffers of my mind. We Americans just loved it, didn’t we, when Obama threw ‘green’ money at Solyndra and then the company went almost immediately into the red, then bankrupt. Most likely, then, the ‘green’ money was laundered into Democrat campaign donations. BTW: When you mix green and red you get a dirty brown color, the color of you know what. At this moment in time we are paying a huge, huge price for lemon government. You can see this with your own eyes. Our increasing national debt alone is a huge breach in our national security. Frick and Frack don’t mention that government’s revenue collection, via the Founder’s written intention, was intended to provide mainly for our national defense. Our government has failed to do so. By creating a national debt payable to other nations, nations that would like to put us under their thumb and make us submit to their will. And, don’t forget the lack of border security that weakens our national security. Taxpayer money is diverted to climate change nonsense or to some inane study of every deviant specter. Sufficient taxpayer money is not headed to secure our sovereign borders. Instead Obama wants to offer taxpayer funded amnesty, offering your taxpayer dollars to buy votes and popularity with his peeps. You, America come last. Our government with the aiding and abetting of good finance/bad finance cops and the likes of NYT’s Keynesian economics columnist Paul Krugman ‘cook the books’ ala Jon Gruber, ala ad hoc CPI calculations, ala serendipitous GDP calculations, ala smoke and mirrors unemployment numbers and other snake charming incantations. They consider you ignorant and therefore produce junk videos to charm into paying more taxes, to demonize the 1% and to redistribute your wealth to a ‘higher cause” – government. In 2016 we will vote again. We vote for a leader of our nation. OR, we vote for a leader who would unleash the power of the American people to create wealth. Litmus test: How do you tell political non-leaders from leaders? Those who do not lead will denigrate opponents; divide the nation up into special interest groups. They will make excuses, lie, pronounce judgment on the 1%, raise taxes as the means to greater government and talk about ‘fixing’ government waste while creating more uncontrollable government. Those who lead will propose the growth positive reforms necessary to create wealth (not redistributive-wealth as implied in the Yahoo! Article)-for all individuals, not just the Progressive’s chosen elite1%. Leaders have real-life experience in creating wealth and not by deceiving others. You will know a leader not by the swagger or their buff BS. They are known by their sworn duty to uphold the rule of law, by their common sense to reduce the burdens put on the people of this nation and by their stand against corruption in any form. Here are some book recommendations. These books are written in plain, nongovernmental, non-Jon Gruber English. They will give you insight into how our tax system came about (e.g., the 16th Amendment and the Federal Reserve were both created in 1913, fancy that.). These books will give you the taxpayer a basic and I consider necessary understanding of economics apart from the saccharine Yahoo!Finance articles.